Full to the brim on the weekends at its Fitzroy location, Mama Manoush has decided to pull up stumps and move into some bigger digs. 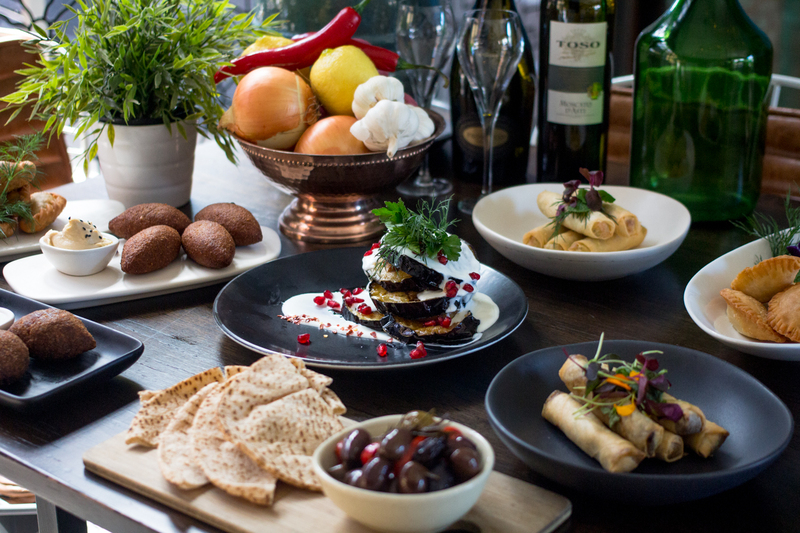 The renowned Lebanese restaurant has relocated from Nicholson Street to Lygon Street in East Brunswick, reopening and relaunching for business on Thursday November 16. Mama Manoush has built a solid, falafel-loving fan base over the past three years for its delicious, contemporary, authentic Lebanese cuisine: chicken wings, kafta, tabouli, kebkabett, kibbeh, dips and riz al jaj. At the helm of Mama is chef Elizabeth Kairouz who has been cooking since she was knee-high for friends and family in Lebanon. “In my town [Becharre, one of the oldest villages in Lebanon] my daddy used to invite a lot of people and I learnt cooking from my grandma and mother,” says Elizabeth. When Elizabeth moved to Melbourne in 1987 and continued to cook for family, friends and community, so many people told her she should make cooking her profession. Anthony Hachem grew up next door to Elizabeth relishing the food in her kitchen, and when he was old enough, he finally harnessed her talents for the general public and opened up Mama Manoush. After realising people were travelling from far flung places to dine at Mama Manoush, Anthony decided a bigger, more convenient location was needed. The new venue will also bring new dishes, a delicious new range of Lebanese wines and a beer garden just in time for summer called Mama’s Garden: serving up cheaper, street food alternatives.